I am so excited about this entry. I inserted the images before I began writing, and all I want to do right now is call up this restaurant and order some masala… which brings me to my next point. Masala is one of my favorite foods. Curry, in general, is my favorite food besides authentic sushi. That said, I am no expert. The origins of masala are not even clear; some say it was created in the United Kingdom while others claim it was created in India. 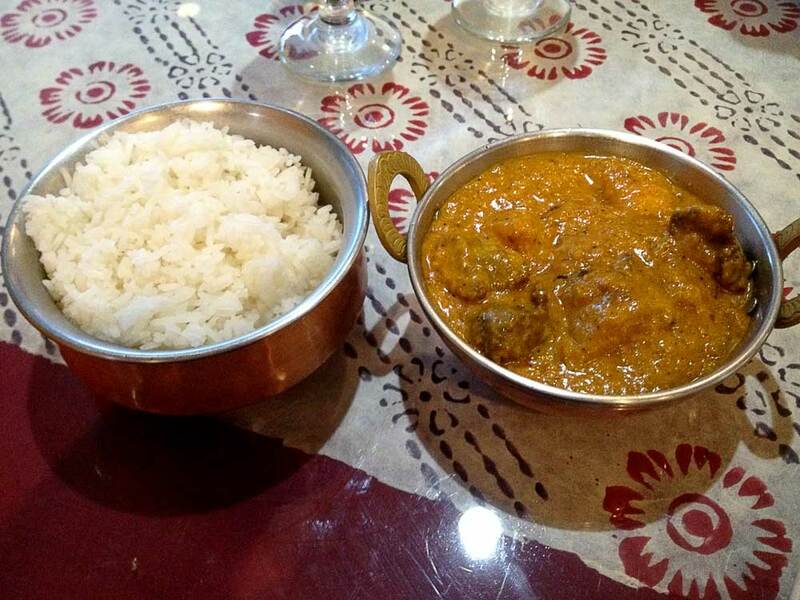 Either way, I have heard several times that it is not considered traditional Indian (or any Asian culture’s) food! It tastes damn good, though, and that’s enough for me. I have ordered takeout from Himalayan Tandoori & Curry House many, many, many, many, many, many times. However, Saturday night was the first time I have eaten at the restaurant. Dana had to work that day, and I was ready to relax after a long day of housework and homework, so we met for dinner. We took full advantage of this blog project and ordered more than we usually do. Let’s start with the most important part of every meal: the alcohol (underagers reading this: stay in school and don’t drink)! The first time I had Real Gold was when Dana picked up some food at this restaurant for us and one of the managers sent a free beer home with him. I love sweet beers and Real Gold is a bit on the sweeter side, so I loved it right off the bat! Last time, we shared it straight from the bottle, so I had not seen its color before. When it was poured into a glass, I was surprised by its very light color! 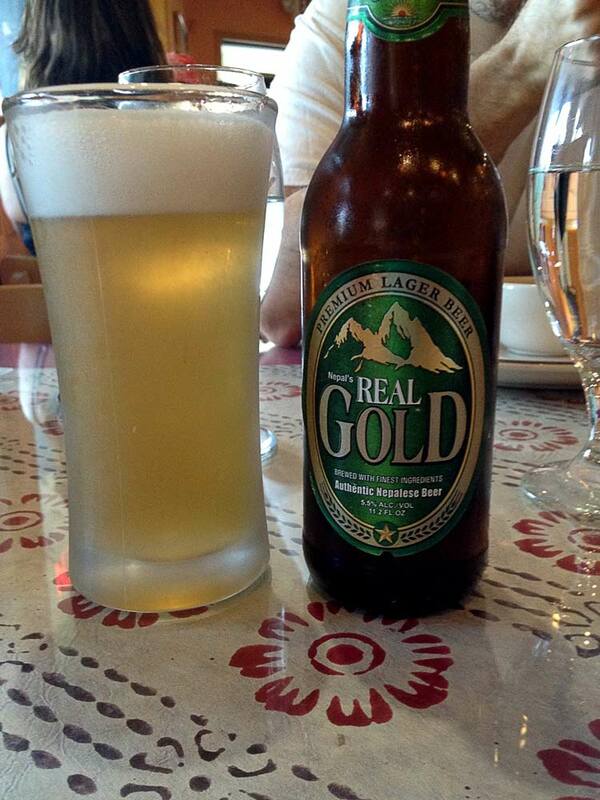 If you enjoy wheat beers or lagers or any beer that does not have an overly-bitter, hoppy flavor, definitely give Real Gold a try. (Disclaimer: I am no beer expert… but I stay away from beers like Bud, Miller, and Coors. Just a PBR every now and then. No big deal…). 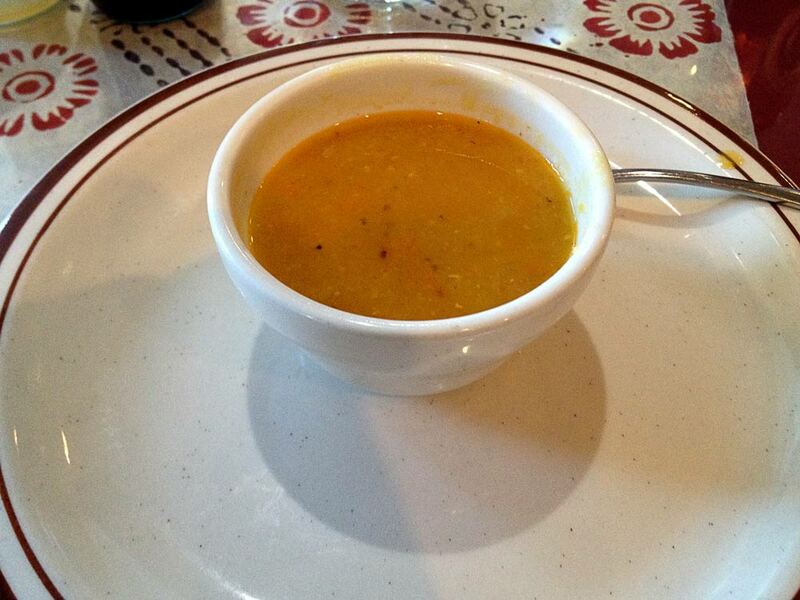 Ah, yes, the complimentary lentil soup! This was a pleasant surprise as the only complimentary item we had ever gotten from takeout was a beer! Ha! I thought it was delicious, and I was so grateful for it when it arrived in front of me, as I was starving. What a great way to begin our meal! 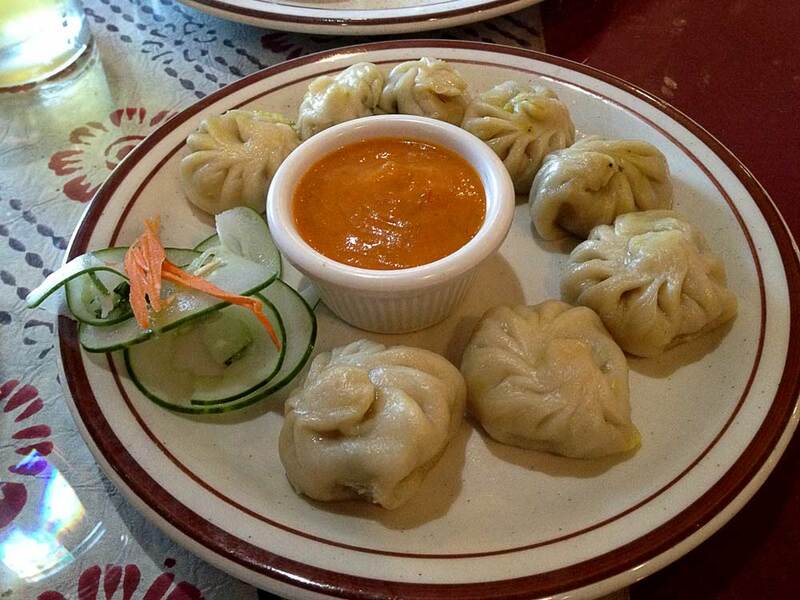 Now, I am still a Himalayan food newbie, so I had no idea what to expect when I ordered momos! They came with a delicious, sweet tomato-based sauce. The dumplings were so savory with the perfect, soft texture. I could eat ten more! Dana and I had only ever had curries before so he decided to try something new and ordered the Chicken Biryani. I was fortunate enough to taste it and I would definitely order it again! So many delicious spices were incorporated, such as cinnamon, coriander, and nutmeg. I am so happy that I finally got to try something different at HTCH! Mmmmm, yes, on to my entree! As stated earlier, I love masala! I usually order the lamb masala from takeout but I wanted to try something different. So, I went ahead and ordered what I usually order… Plus pumpkin. The pumpkin brought a slight sweetness to the dish, and I loved it! I have had Thai curry with pumpkin in it before, but never Himalayan. Another bonus of this dish is that the pumpkins are locally grown. I definitely would recommend this dish if you ever make it to this restaurant. 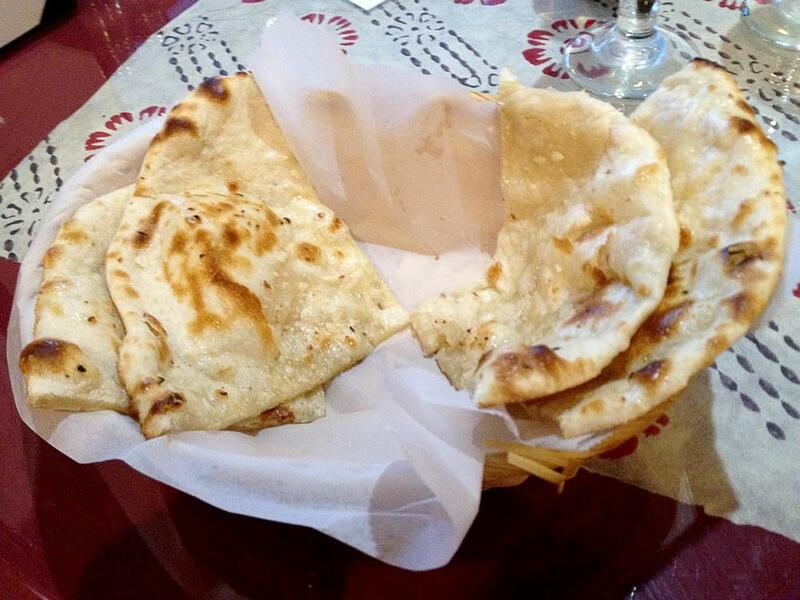 This meal would just not be complete without some yummy, fluffy naan! I love my garlic, so we ordered the garlic naan. It was not terribly garlicy, but it was good nonetheless. It was fluffy and soft, which is perfect for my tastes. We were craving something sweet after a meal like that, so we ordered some dessert. 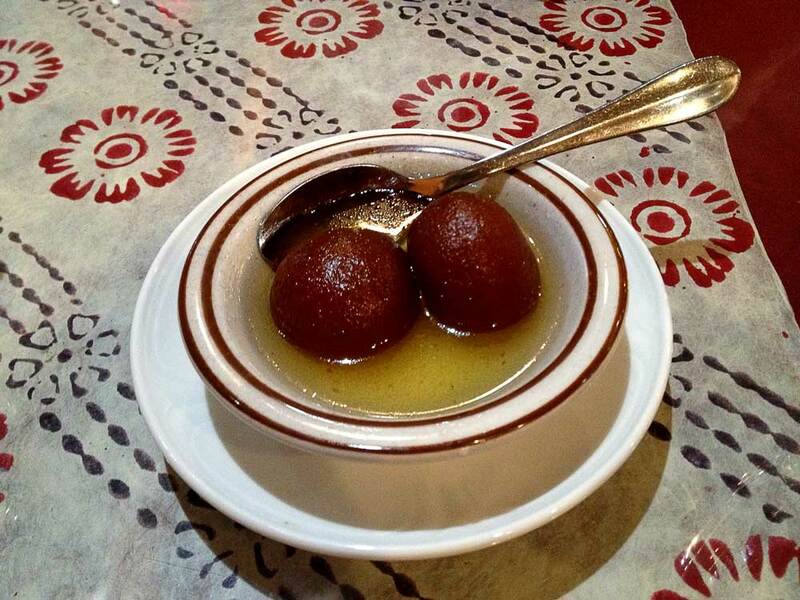 Dana decided on the gulab jamun, which are deep fried milk balls served in syrup. They were very sweet and tasted much like a deep fried pancake would. I enjoyed them, but I do not think I would order them again as I preferred my dessert. I could definitely see how others might favor this dessert, though! 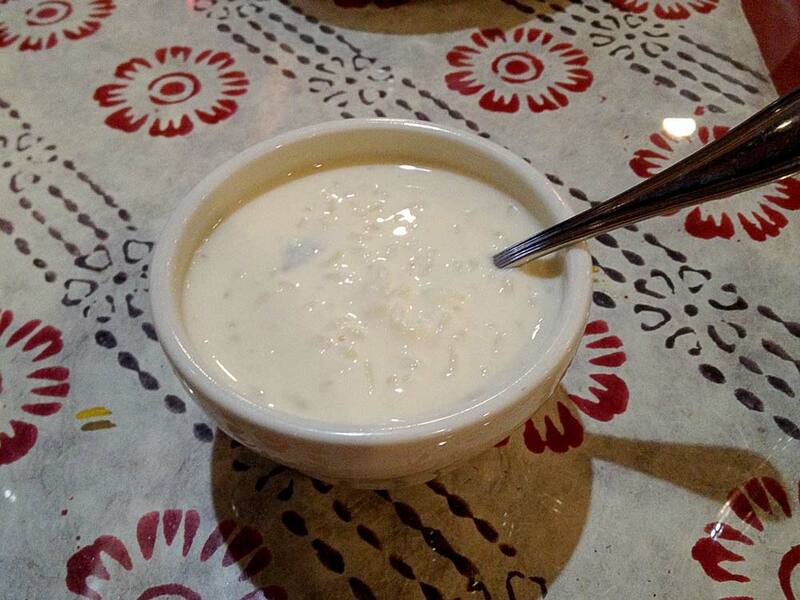 Speaking of my dessert, I ordered the rice pudding (called kheer), which was so sweet and spiced! I used to think that I did not like rice pudding, but I am always willing to try something again, and I figured this was the perfect time to try it. I think I made a great choice, and I am now a fan. That’s all folks! 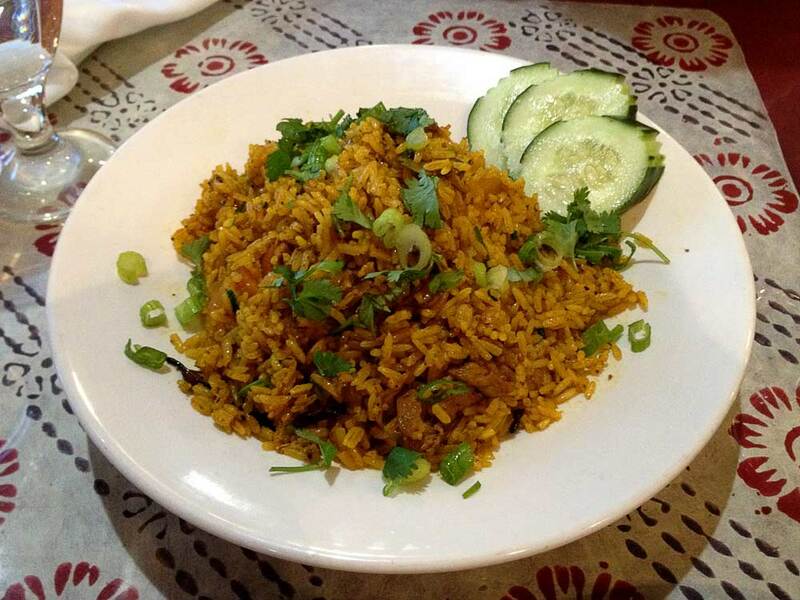 If you love curry and lots of spices, give HTCH a shot. It is a great treat, and many of the ingredients are local and organic (if you are into that, which I am). Make masala at home! Try Alton Brown’s recipe!